Why I wanna wait another few years for the next Avengers Movie! 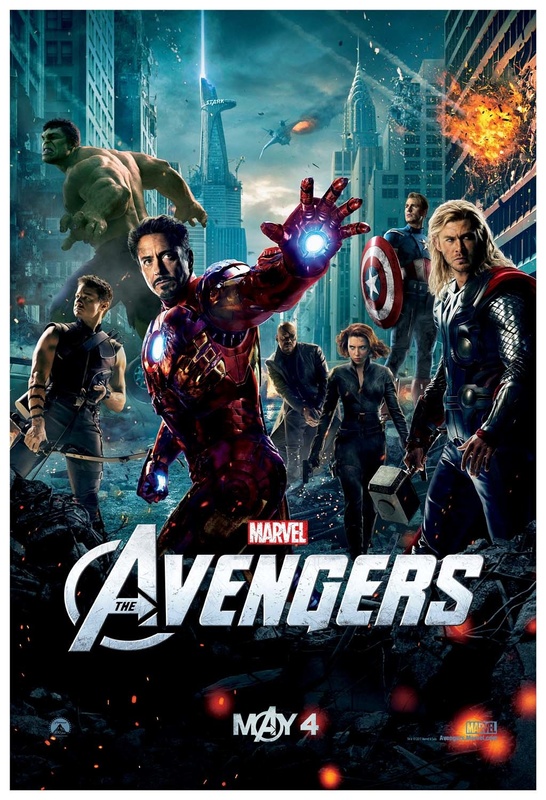 It’s no secret that the first Avengers movie was a carefully planned super-project by the studio heads. Inkling of the movie began with the post credit scene in the first Iron Man movie way back in 2008. This trend of giving away hints continued with each new Marvel Superhero motion picture in the following months; The Incredible Hulk, Iron Man 2, Captain America and most recently Thor. Apart from building up the (absolutely justified) hype, these post credit-scenes and the movies themselves served the important purpose of getting movie audiences familiar with the vast and myriad Marvel universe. Imagine watching (or reading) the final installment in the Harry Potter saga without ANY knowledge of the back-stories of the various characters. You’d walk out of the movie hall with an unmistakable feeling of “What The Eff!”. Simply put we need some more super hero movies from the Marvel Universe (backed by Disney of course) to establish some more back-story and get a better insight into the Marvel universe. If you stuck around (of course you did!) for the post credits scene of The Avengers, you definitely caught a glimpse of the sinister being grinning as the screen switched to black. The being in question is the celestial villain (not always) Thanos who is touted to be the villain in the sequel. Marvel fans will tell you that the most memorable and popular comic book story arc associated with Thanos is The Infinity Gauntlet, which is an epic story on its own. However TIG is one in a series of six story arcs in the Infinity Saga that spans across multiple realities and involves almost every single Marvel Superhero and Villain (and there are a LOT!). And the entire saga takes place AFTER Thanos has been resurrected from his death. There are other story arcs prior to his demise. So you see, movie audiences would need some sort of back story to get a feel of the true nature of the (supposedly) new baddie for the upcoming sequel. A rushed sequel would most likely also suffer from the usual shortcomings. Almost always sequels have very little fresh appeal for the audiences and seem almost formulaic in their plot and story. The adage “If it ain’t broke why fix it” tends to get used a lot when scripting sequels resulting in half-baked clones of the first movie. The writers for the next Avengers movie should patiently skim through the various story arcs, pertaining to their characters, available in the Marvel universe. This may also require stand-alone movies with hints scattered throughout the flick or a simple post-credits scene. Introducing new characters, minor or major, is always a good move, but they’d need to pick the right mix to ensure they don’t affect the familiarity established with the audiences by the first movie and the preceding movie tie-ins. Also, if the head honchos at Disney are smart, they’ll realize the benefit of spacing out their comic book blockbusters. Apart from piquing the audience interest and building a stronger fan-following, the gaps would keep the franchise fresh. Striking the iron while it’s hot may not be the best option. The Avengers has garnered very high praise and has cemented its place in the hearts of movie audiences globally ensuring a firm fan-base for a sequel no matter how long the wait. Having said that, I have to admit I am highly anxious to see how this franchise moves forward on the silver screen as well as how other comic-verses are brought to the big-screen. For now, I’ll keep a keen watch for the upcoming sequels and new movies for other superheros in the coming months. Prometheus: Movie Review OR "Of Greek Gods And Ridley Scott"